Pianist and conductor Ian Hobson—called “powerful and persuasive” by The New York Times— is recognized internationally for his command of an extraordinarily comprehensive repertoire, his consummate performances of the Romantic masters, his deft and idiomatic readings of neglected piano music old and new, and his assured conducting from both the piano and the podium. In addition to being a celebrated performer, Mr. Hobson is a dedicated scholar and educator who has pioneered renewed interest in the music of such lesser known masters as Ignaz Moscheles and Johann Hummel. He has also been an effective advocate of works written expressly for him by a number of today’s noted composers, including Robert Chumbley, Benjamin Lees, John Gardner, David Liptak, Alan Ridout, and Yehudi Wyner. During the 2018-19 season, Mr. Hobson will appear in solo recital at Zankel Hall at Carnegie Hall on March 11, 2019, presented by Florida State University. This program will celebrate the composer Ernst von Dohnányi, who taught for ten years at Florida State and gave his final performance at FSU’s School of Music. Complementing the Dohnányi selections will be works by Brahms and the contemporary American composer Robert Chumbley. Mr. Hobson will also be releasing the final two volumes of his complete Frédéric Chopin edition on the Zephyr label. This comprehensive set is organized programmatically rather than chronologically, and inspired Colin Clarke of Fanfare to write: “The sense, as the work completes, is of coming to the end of a very significant Chopin recital” (Fanfare, July/August 2016). Mr. Hobson is known for artfully programming recital series showcasing the complete piano works of noted composers, matching the subtleties of the composer’s works for each concert. Most recently, Mr. Hobson completed a six-concert series at New York’s downtown venue SubCulture during the 2017-18 season entitled, Sound Impressions, featuring the complete solo piano repertoire of Ravel and Debussy. Similar endeavors include Mr. Hobson’s 2015 Uptown/Downtown: Preludes, Etudes, and Variations series—focusing on outstanding examples of each genre by Fauré, Schumann, Rachmaninoff, Debussy, and Szymanowski, with world premieres by Yehudi Wyner (Preludes), Robert Chumbley (Etudes), and Stephen Taylor (Variations)—and his performance of the complete solo piano works and chamber music with piano of Johannes Brahms, series entitled Johannes Brahms: Classical Inclinations in a Romantic Age. Mr. Hobson continues his concerts as music director of the Sinfonia da Camera, a professional chamber orchestra affiliated with the Krannert Center for the Performing Arts and College of Fine and Applied Arts of the University of Illinois at Urbana-Champaign, where Mr. Hobson is the Swanlund Emeritus Professor of Music. He is also Professor of Music at Florida State University. An artist of prodigious energy and resource, Mr. Hobson has to date amassed a discography of some 60 releases, including the complete piano sonatas of Beethoven and Schumann and a complete edition of Brahms’s variations for piano. As guest soloist, Ian Hobson has appeared with many of the world’s major orchestras; in the United States these include the Chicago Symphony Orchestra and the Philadelphia Orchestra, the symphony orchestras of Baltimore, Florida, Houston, Indianapolis, Pittsburgh, St. Louis, and the American Symphony Orchestra and Orquesta Sinfónica de Puerto Rico. Abroad, he has been heard with Great Britain’s Royal Philharmonic Orchestra, the London Philharmonic Orchestra, Scottish National Orchestra, Royal Liverpool Philharmonic Orchestra, and Hallé Orchestra, ORF-Vienna, Orchester der Beethovenhalle, Moscow Chopin Orchestra, Israeli Sinfonietta, and New Zealand Symphony Orchestra. Since his debut in the double role of conductor and soloist with the Stuttgart Chamber Orchestra in 1996, Maestro Hobson has been invited to lead the English Chamber Orchestra, the Sinfonia Varsovia (including an appearance at Carnegie Hall), the Pomeranian Philharmonic (Poland), the Fort Worth Chamber Orchestra (Bass Hall), and the Kibbutz Chamber Orchestra of Israel, among others. In addition, Mr. Hobson is a much sought-after judge for national and international competitions and has been invited to join numerous juries, among them the Van Cliburn International Piano Competition (at the specific request of Mr. Cliburn), the Arthur Rubinstein Competition in Poland, the Chopin Competition in Florida, the Leeds Piano Competition in the U.K., and the Schumann International Competition in Germany. 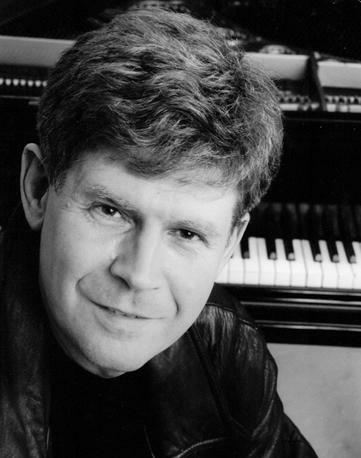 In 2005 Hobson served as Chairman of the Jury for the Cleveland International Competition and the Kosciuszko Competition in New York; in 2008 he was Chairman of Jury of the New York Piano Competition; and in 2010 he again served in that capacity of the newly renamed New York International Piano Competition. One of the youngest ever graduates of the Royal Academy of Music, Mr. Hobson began his international career in 1981 when he won First Prize at the Leeds International Piano Competition, after having earned silver medals at both the Arthur Rubinstein and Vienna-Beethoven competitions. Born in Wolverhampton, England, he studied at Cambridge University (England), and at Yale University, in addition to his earlier studies at the Royal Academy of Music.